A new one. Time to get this project rolling again. Owl 30 is an owl sitting in the canopy of pines and other trees. 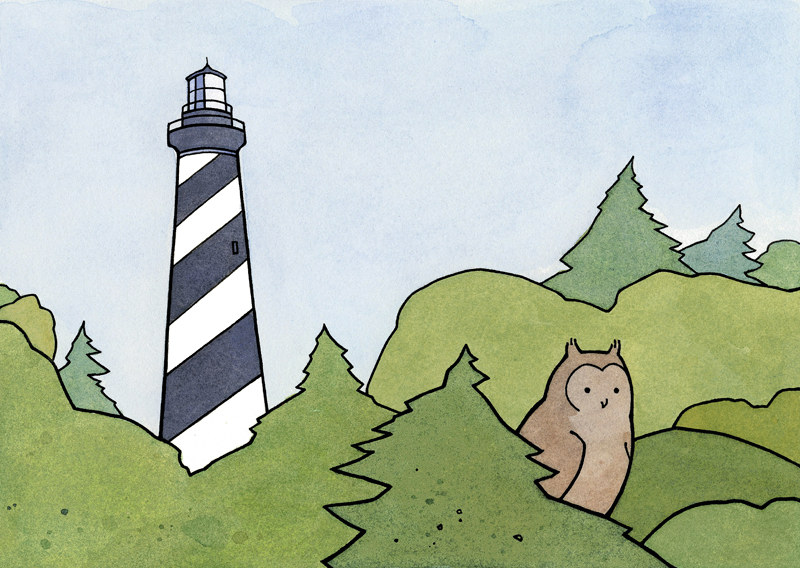 In the back is the striped Cape Hatteras lighthouse.